Mykonos, one of the most famous Greek islands in the Aegean Sea, is best known world-wide for its incomparable natural beauty and glamorous lifestyle. Although distinguishing for the stunning beaches with crystal clear waters and its interesting Cycladic architecture, this cosmopolitan island mostly attracts young people from all over the world due to its famous wild party scene. 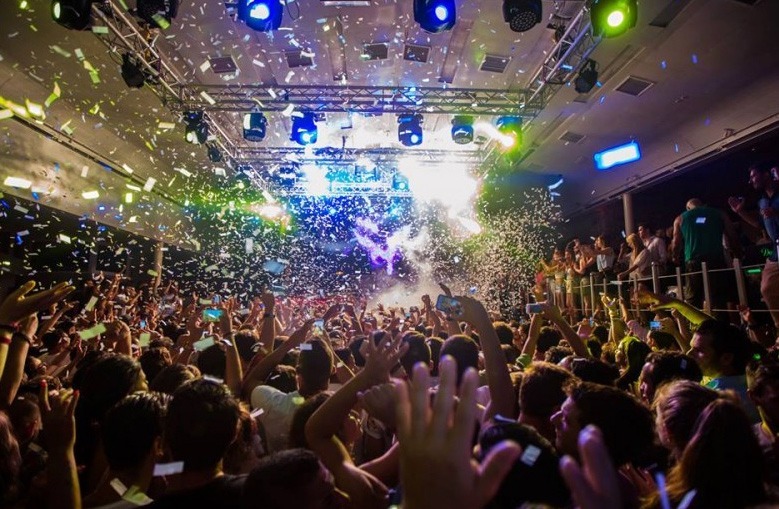 There are several seaside bars that party all day and night long, especially on the southern coast of the island, while the Town also offers a non-stop party atmosphere. If you are wondering where to party in Mykonos, here are our suggestions. During the day, the beach bars and clubs in Mykonos get overcrowded, especially in peak season, with people who want to have fun and enjoy themselves. Most beaches on the southern side of Mykonos are organized and have many tourist facilities, providing a convenient entertainment venue close to hotels, restaurants and water sports. The best beaches where to party in Mykonos are definitely Super Paradise, a picturesque sandy cove, gay and nudist friendly place, where parties don’t stop until late in the morning, and Paradise beach, a flat sandy beach with organized facilities and water sports, perfect for nudists as well. 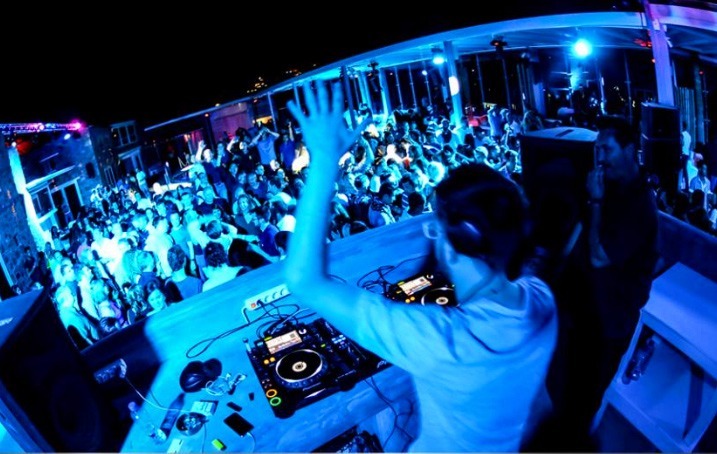 On Paradise beach there are some of the most popular beach clubs in Mykonos with a wild party scene, including Cavo Paradiso, one of the hottest party destinations in the world, the famous Tropicana and Paradise Club Mykonos, all inviting renowned DJs from all over the world. Cavo Paradiso, apart from the beach bar, also offers a pool and restaurant, the entire complex operating as a night club in the late evening. Other stunning beaches with active party life are Psarrou and Paranga beach, beautiful organized beaches with beachside restaurants and bars that turn into crazy party scenes in the evening. In the evening people head down to the lively Mykonos Town, where there is a wide variety of bars, clubs, drag shows, live events and many more. The entire town has a special vibe, inspiring everyone to have a great time. Scattered around the streets of Mykonos Town are many clubs and trendy music bars for all styles and preferences, with parties lasting until late in the following morning. Even some of the restaurants, cafes, and fashion and jewellery shops stay open until late at night. Among the most popular bars and night clubs where to party in Mykonos Town are the Skandinavian bar, the most frequented meeting point of young people with great DJs from the Greek and international music scene, La Notte, a very beautiful music bar with fun parties, Ramrod, a newly built gay club with an upbeat ambience, Remezzo, Caprice and Space Dance. As Mykonos is a gay friendly destination, there are many gar bars and clubs in the Town. The most famous gay bar in Mykonos is Pierro’s, now called Voodoo. In the area of Little Venice in Mykonos Town visitors can also have an amazing time, wild partying in the seaside bars and clubs. These parties last all night, until late in the morning.